Several projects have taken place in the community. 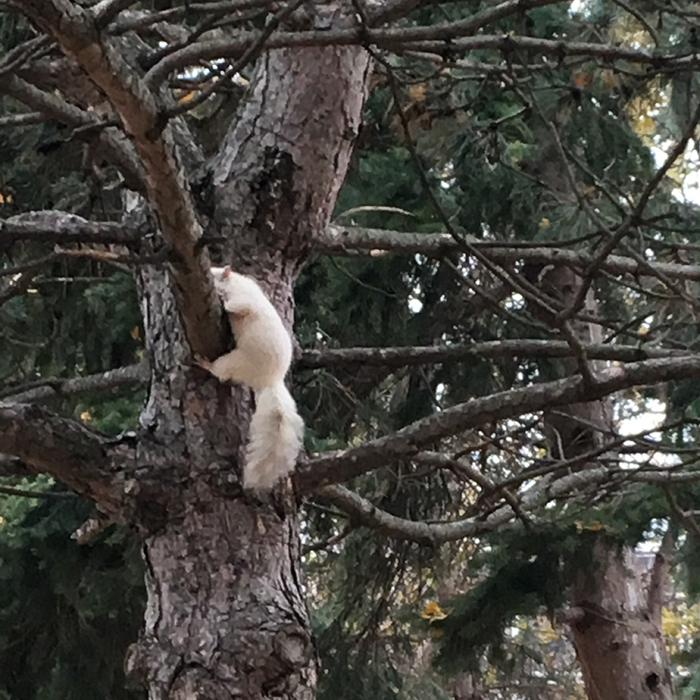 I've led folks on non-violent hunts for the famous white squirrel in Trinity Bellwoods Park. We found the squirrel! I've made maps to help us find the white squirrel. They're available for sale online here. 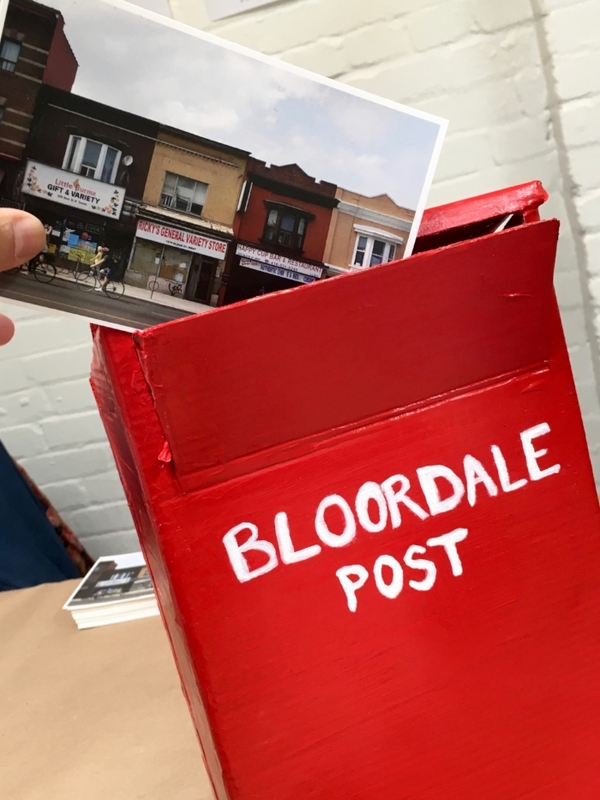 A post office for the Bloordale neighbourhood was the place where folks could write a send hyperlocal postcards. 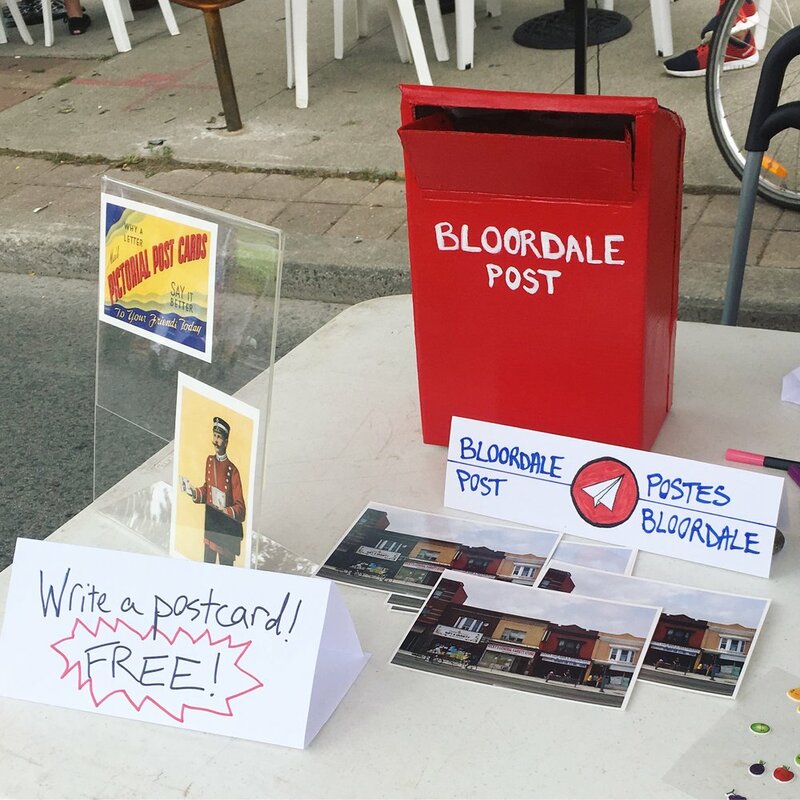 The post office was in operation at Bloordale's Major/Minor Festival as well as at Big on Bloor Festival in both 2017 and 2018. Through this initiative, we've mailed over 300 post cards across Canada. Jane's Walks are citizen-led walks that take place one weekend a year, inspired by Jane Jacobs. The walks led solo have been located in and around a stuck-in-the-past shopping mall: Galleria Mall at Dufferin and Dupont St.
2017: Co-leader of Here's the Thing: A Creative Writing Walk with Denise Pinto. 2016: A Time Travel Adventure at Galleria Mall!